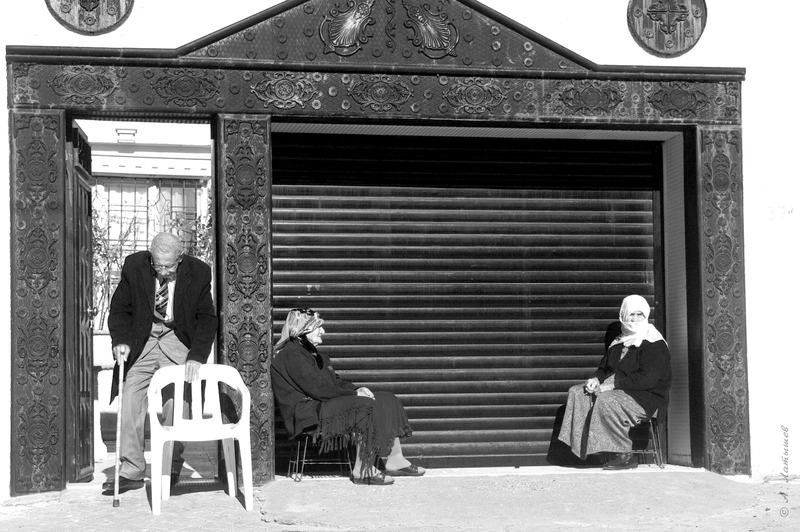 This photo was filmed by me some years ago in the ancient town of Midyat (Turkey). Now I would not dare to go there because as it is a Kurdish town the Turkish army is realizing their a military operation. So now anybody could be killed there easily. On the photo are depicted two old women. One of them is Muslim, other - Christian. They have been friends all a life. Last edited by Kuzma; 05-23-2016 at 02:39 PM. Excellent photograph Kuzma. You have captured an event that may not happen again for 2 generations. A very sad place now, but you have shown us happier times. Thanks. Being technically perfect does not make an uninteresting photograph good, and not being technically perfect does not make an excellent photograph bad IMO. Your photograph tells a lovely story, and that is all it needs to do. Well done. A very fine journalistic image that poses many questions when viewed. Yes, I fully agree! Sometimes technical imperfection makes photo even more expressive. I see no technical problems at all - I think it's a wonderful photograph in every respect: composition, exposure and post processing. Very nice. very nice photo, tells a story and transports us there... well done! Wow. Thanks for sharing this. Even without the explanation it's a very poignant image. One hopes for a better future for the people.